Marvin Gaye: What's Going On and the Last Days of the Motown Sound by Ben Edmonds. A bit disjointed, but an interesting account of the environment of Motown and the personality of Marvin Gaye in the years leading up to and including the recording and release of Gaye's classic album. 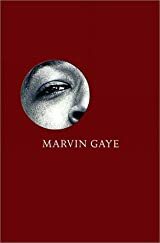 Gaye was a troubled but determined artist who hit his peak with What's Going On, despite a near total lack of support from Barry Gordy and the people who decided what was a hit at Hitsville USA. Only a "strike" by Gaye allowed him to assert his identity as an artist--a move that benefited others at Motown, particularly Stevie Wonder. Plight of the Fortune Tellers by Riccardo Rebonato. Quite interesting, especially about the difference between bayesian approaches to calculating risk and the more standard approaches you learn in Finance 101. He probably regrets not recommending stricter approaches to regulating capital adequacy, but at least he recognized that the likelihood of extreme events was probably higher than many believed, and more importantly, was not something could be determined or easily modeled because things that hold in ordinary times (correlations that exist in markets, for example) break down and even reverse in extreme "fat tail" events. Meanwhile...: A Biography of Milton Caniff by R.C. Harvey. A fairly remarkable biography. If you can get past R.C. Harvey's windy, occasionally corny writing style, and his unabashed worship of Caniff and his work, the sheer volume of information about the man and his times--a period when comic strips were among the most popular forms of entertainment in America--is staggering. Harvey is an uncritical reader--he barely acknowledges the racist (though sometimes complex) depictions of Chinese in Terry & the Pirates (both Caniff and his white characters have thoroughly colonialist views of the Chinese people, at least until WW II). That's OK--this biography doesn't preclude future critical readings, and provides a valuable resource for fans and future critics. Winsome Karl Wirsum Works (Some) by Lanny Silverman. Including art books in this list is somewhat problematic, because their value is in looking at them more than reading them. But it's my list, dammit! This book has an exceptionally cool package, but what was really nice was the beautiful selection of color reproductions of Wirsum's eye-popping artwork. 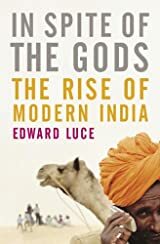 In Spite of the Gods: The Strange Rise of Modern India by Edward Luce. A bit scattered, which is not surprising given the vastness of the subject. The best thing about it was getting help in understanding the complex dance between Congress, the BJP and the lower caste/dalit parties which prevents any one party (for now) from being too powerful. Given the overtly fascist nature of the BJP, that's a good thing. 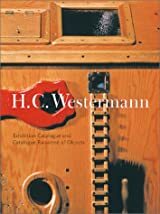 H.C. Westermann: Exhibition Catalogue and Catalogue Raisonne of Objects by Michael Rooks. One of America's greatest makers of things. A craftsman like Joseph Cornell, but with a rude all-American exuberance like Ed Kienholz. Somewhat unjustly neglected. This huge catalogue raisonne of his sculptural objects is gorgeous. It allows you to see inside many of the box-like ones, which you often can't do if you see them in person. Still, seeing them in the flesh is a powerful experience that should not be missed if possible. 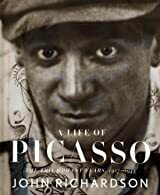 A Life of Picasso: The Triumphant Years, 1917-1932 by John Richardson. Magnificent. Unbelievably detailed (like the first two volumes) and yet extremely accessible. Richardson doesn't shy away from offering opinions interwoven with the facts, and he is both conversant and generous in citing other critical work about Picasso. But what entertains are the facts of Picasso's life--his love life, of course, but also the multiple social swirls in which he plunged, especially in these year when he became a rich and famous artist, married to a fashionable ballerina, summering with the swells on the Riviera. The Black O: Racism and Redemption in an American Corporate Empire by Steve Watkins. Fantastic story of fighting institutional racism in a period when such fights were no longer "cool." Fighting civil rights cases had, during the Reagan years, been relegated to back-burners nationwide. But in the case of Shoney's restaurant chain, the policiy of overt racism came from the CEO and spread down to every store like cancer. This book details the long complex lawsuit to change Shoney's and correct its past wrongs. The stories in this book are shocking. The black O of the title was a way of signalling not to hire a black job applicant--by filling in the O in the "Shoney's" on the application. 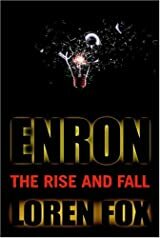 Enron: TheRise and Fall by Loren Fox. Of all the Enron books, this has the most detailed descriptions of the various deals, derivative contracts, and special purpose entities for which Enron gained fame and infamy. Fox is not a great prose stylist, but he is thorough and a patient explainer.